The National Institutes of Health (NIH) is the world’s leading supporter of basic biomedical, behavioral, and social science research. Investment in NIH fosters scientific discoveries to enhance the health and well-being of the American people. NIH research has played an important role in extending US life expectancy. Americans can expect to live nearly three decades longer than someone born in 1900. And not only are we living longer, but our quality of life is improving too. More than 80 percent of the NIH’s budget supports high-quality jobs for more than 300,000 research personnel at 3,000 universities, medical schools, and other research institutions in every state. The NIH campus in Bethesda, Maryland is also home to the NIH Clinical Center, the largest hospital in the world completely dedicated to clinical research. 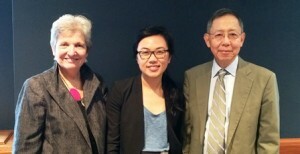 Each of NIH’s 27 Institutes and Centers engages in strategic planning with input from stakeholders and the public. 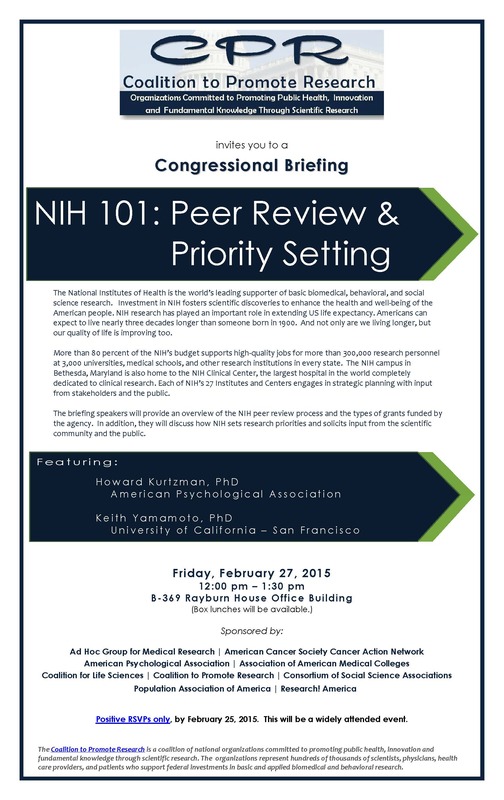 The briefing will feature Howard Kurtzman, Ph.D., acting executive director for Science, American Psychological Association, and Keith Yamamoto, Ph.D., vice chancellor for research and executive vice dean of the School of Medicine at the University of California, San Francisco. 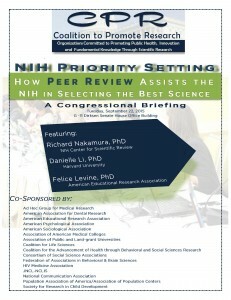 The speakers will provide an overview of the NIH peer review process and the types of grants funded by the agency. 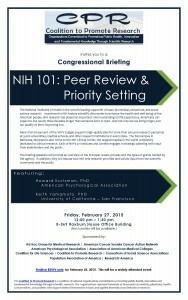 In addition, they will discuss how NIH sets research priorities and solicits input from the scientific community and the public.